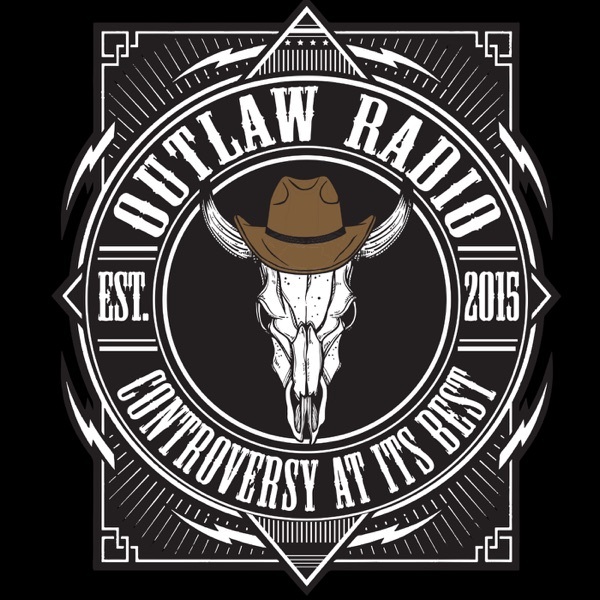 OUTLAW RADIO | Listen Free on Castbox. © Copyright 2018 A.O.W. Productions All rights reserved. American Broadcasting School alumni Chris Master, Derek Stark and Bad Billy are joined together to bring you Outlaw Radio. Listen in as we discuss current events, a little comedy, and great music. Listen to the show live Saturday nights at 8:00 PM eastern standard time/5:00 PM pacific standard time on iVlog TV (www.ivlog.tv/user/OutlawRadioABS), The No Holds Barred Radio Network (www.nhbradio.com), and Raw Talk Online (www.rawtalkonline.com)! Feel free to join the show by calling +1 (646) 558-8665 - code 216-539-5329. You can also catch the archived shows by going to www.outlawradioabs.podbean.com. If you would like to be a guest on the show or if you would like to leave your feedback you can call our feedback line at +1 (773) 572-7878. All positive and negative feedback will be replied to during the show. Be sure to visit the Outlaw Radio official website at www.outlawradioabs.com. This week we interview Blake Bedsaul of Saul out of Iowa! We also feature music from Karen Lovely, C-Note, Mandy Shay, Hatebreed, Big Smo, Letters From The Fire, Nick Nolan, and The Toadies. American Broadcasting School alumni Chris Master, Derek Stark and Bad Billy are joined together to bring you Outlaw Radio. Listen in as we discuss current events, a little comedy, and great music. Listen to the show live Saturday nights at 8:00 PM eastern standard time/5:00 PM pacific standard time on iVlog TV (www.ivlog.tv/user/OutlawRadioABS), The No Holds Barred Radio Network (www.nhbradio.com), and Raw Talk Online (www.rawtalkonline.com)! Feel free to join the show by calling +1 (646) 558-8665 - code 216-539-5329. You can also catch the archived shows by going to www.outlawradioabs.podbean.com. If you would like to be a guest on the show or if you would like to leave your feedback you can call our feedback line at +1 (773) 572-7878. All positive and negative feedback will be replied to during the show. Be sure to visit the Outlaw Radio official website at www.outlawradioabs.com. This week we interview Caitlin Rutkowski of Reason Define out of North Carolina! We also feature music from Blues Saraceno, De Kraaien with Jack Parow, JB & the Moonshine Band, Kottonmouth Kings, Aurorean, SaraBeth, Karen Zoid, and Wrust. American Broadcasting School alumni Chris Master, Derek Stark and Bad Billy are joined together to bring you Outlaw Radio. Listen in as we discuss current events, a little comedy, and great music. Listen to the show live Saturday nights at 8:00 PM eastern standard time/5:00 PM pacific standard time on iVlog TV (www.ivlog.tv/user/OutlawRadioABS), The No Holds Barred Radio Network (www.nhbradio.com), and Raw Talk Online (www.rawtalkonline.com)! Feel free to join the show by calling +1 (646) 558-8665 - code 216-539-5329. You can also catch the archived shows by going to www.outlawradioabs.podbean.com or by calling +1 (773) 572-7878. Be sure to visit the Outlaw Radio official website at www.outlawradioabs.com. This week we have a discussion with Craig "Hawk" Montgomery on the current state of affairs in South Africa. We also feature music from Nick Nolan, Brina Kay, Bray Road, Prime Minister Pete Nice & DJ Daddy Rich, Life Like Fire, Mark Leach, Stakt, Apalachee Don, Skarlett Riot, Reckless Kelly, India Morel, and Wrust. American Broadcasting School alumni Chris Master, Derek Stark and Bad Billy are joined together to bring you Outlaw Radio. Listen in as we discuss current events, a little comedy, and great music. Listen to the show live Saturday nights at 8:00 PM eastern standard time/5:00 PM pacific standard time on iVlog TV (www.ivlog.tv/user/OutlawRadioABS), The No Holds Barred Radio Network (www.nhbradio.com), and Raw Talk Online (www.rawtalkonline.com)! Feel free to join the show by calling +1 (646) 558-8665 - code 216-539-5329. You can also catch the archived shows by going to www.outlawradioabs.podbean.com or by calling +1 (773) 572-7878. Be sure to visit the Outlaw Radio official website at www.outlawradioabs.com. This week we interview country rap artist, YardCall out of Georgia! We also feature music from Reason Define, Erica Dawn, Sabaton, Prime Minister Pete Nice & DJ Daddy Rich, Muzzie Braun, Karen Zoid, Sheyna Gee, and Lola Black. American Broadcasting School alumni Chris Master, Derek Stark and Bad Billy are joined together to bring you Outlaw Radio. Listen in as we discuss current events, a little comedy, and great music. Listen to the show live Saturday nights at 8:00 PM eastern standard time/5:00 PM pacific standard time on iVlog TV (www.ivlog.tv/user/OutlawRadioABS), The No Holds Barred Radio Network (www.nhbradio.com), and Raw Talk Online (www.rawtalkonline.com)! Feel free to join the show by calling +1 (646) 558-8665 - code 216-539-5329. You can also catch the archived shows by going to www.outlawradioabs.podbean.com or by calling +1 (773) 572-7878. Be sure to visit the Outlaw Radio official website at www.outlawradioabs.com. This week we interview South African presidential candidate, Mosiuoa "Terror" Lekota of The Congress Of The People (COPE)! We also feature music from Motion Device, Steve Hofmeyr, Eve To Adam, K-9 Posse, The Highway Women, Diamante, Legends Fade, Nikki Briar, Jack Parow with Francois Van Coke, Dead Horse Trauma, Damien Maze, and Doll Skin. American Broadcasting School alumni Chris Master, Derek Stark and Bad Billy are joined together to bring you Outlaw Radio. Listen in as we discuss current events, a little comedy, and great music. Listen to the show live Saturday nights at 8:00 PM eastern standard time/5:00 PM pacific standard time on iVlog TV (www.ivlog.tv/user/OutlawRadioABS), The No Holds Barred Radio Network (www.nhbradio.com), and Raw Talk Online (www.rawtalkonline.com)! Feel free to join the show by calling +1 (646) 558-8665 - code 216-539-5329. You can also catch the archived shows by going to www.outlawradioabs.podbean.com or by calling +1 (773) 572-7878. Be sure to visit the Outlaw Radio official website at www.outlawradioabs.com. This week we interview Karen Lovely out of Portland, Oregon! We also feature music from B.B. Chung King & The Buddaheads, The Fallen Son, Tyr, Touch Of Class, Lurid Lizz, Bo Daniels, Through Fire, and Karen Zoid! American Broadcasting School alumni Chris Master, Derek Stark and Bad Billy are joined together to bring you Outlaw Radio. Listen in as we discuss current events, a little comedy, and great music. Listen to the show live Saturday nights at 8:00 PM eastern standard time/5:00 PM pacific standard time on iVlog TV (www.ivlog.tv/user/OutlawRadioABS), The No Holds Barred Radio Network (www.nhbradio.com), and Raw Talk Online (www.rawtalkonline.com)! Feel free to join the show by calling +1 (646) 558-8665 - code 216-539-5329. You can also catch the archived shows by going to www.outlawradioabs.podbean.com or by calling +1 (773) 572-7878. Be sure to visit the Outlaw Radio official website at www.outlawradioabs.com. This week we interview Paul Stead of The Darker My Horizon out of the U.K.! We also feature music from Sharmain, Junya Boy, Mary Kutter, Reveille, Bif Naked, Gunshot Blue, Khaos Ordinance, and American Wrecking Company. American Broadcasting School alumni Chris Master, Derek Stark and Bad Billy are joined together to bring you Outlaw Radio. Listen in as we discuss current events, a little comedy, and great music. Listen to the show live Saturday nights at 8:00 PM eastern standard time/5:00 PM pacific standard time on iVlog TV (www.ivlog.tv/user/OutlawRadioABS), The No Holds Barred Radio Network (www.nhbradio.com), and Raw Talk Online (www.rawtalkonline.com)! Feel free to join the show by calling +1 (646) 558-8665 - code 216-539-5329. You can also catch the archived shows by going to www.outlawradioabs.podbean.com or by calling +1 (773) 572-7878. Be sure to visit the Outlaw Radio official website at www.outlawradioabs.com. This week we interview Brandon Davis of Delta Bravo out of Las Vegas, Nevada! We also feature music from Gina Giordano, G-3 Rap, Karen Lovely, Red Sun Rising, Stuck Mojo, Reckless Kelly, The Anchor, and Sabaton. American Broadcasting School alumni Chris Master, Derek Stark and Bad Billy are joined together to bring you Outlaw Radio. Listen in as we discuss current events, a little comedy, and great music. Listen to the show live Saturday nights at 8:00 PM eastern standard time/5:00 PM pacific standard time on iVlog TV (www.ivlog.tv/user/OutlawRadioABS), The No Holds Barred Radio Network (www.nhbradio.com), and Raw Talk Online (www.rawtalkonline.com)! Feel free to join the show by calling +1 (646) 558-8665 - code 216-539-5329. You can also catch the archived shows by going to www.outlawradioabs.podbean.com or by calling +1 (773) 572-7878. Be sure to visit the Outlaw Radio official website at www.outlawradioabs.com. This week we interview the band members of Breathing Theory out of Florida! We also feature music from FlamesFlow, Karen Lovely, Karen Zoid, Days To Come, J.B. & The Moonshine Band, The Darker My Horizon, Anjo Jackson, and Bullet To The Heart!